The simpler of our two time offerings, iSolved Time offers a robust and capable online program for managing time and attendance that is actually part of iSolved’s Employee Self-Service. From within iSolved an employee can record and allocate their time hours quickly and with a short learning curve. All data captured can be reviewed and approved by supervisors, helping you review, edit and approve employee time online, anytime. Plus, its intuitive interface will have you up and running in minutes, not hours or days. Review the Time Clock Feature Comparison Chart to see the features of eight available time clocks. You may also want to review the Benefits of Time Clock Enclosures to learn about protecting your time clock. Read about the Power & Strength of iSolved. Read about iSolved Time, built-in, robust time and attendance solution. 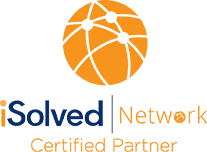 To become an iSolved Network Certified Partner, Commonwealth was closely vetted and completed rigorous training on the iSolved system. 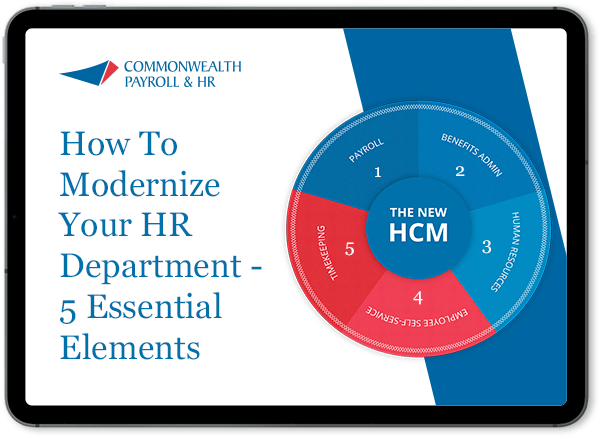 Our goal is to provide clients with vital human capital management solutions including time and attendance, benefits administration and human resources.